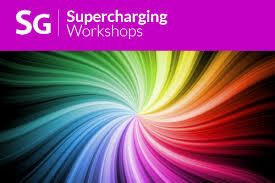 Quantum-Touch, Inc. has brought back the Supercharging Workshop! This long-time favorite has been revised, revitalized and is now ready for you to enjoy and I (Carol) am honored and excited to be one of the Instructors offering this class. SUPERCHARGING is a two-day workshop filled with tools, techniques and practice sessions newly formatted for the energy of today. 1/2 price discount off registration price (not pre-registration price) available when repeating the Live Supercharging class. To receive the half-price discount, students must provide a copy of a Certificate of Completion from a Live Supercharging Workshop taught by a certified QT instructor. The copy of the certificate must be provided by the beginning of the workshop for which the half-price discount applies.